Is Azelaic Acid Safe to Treat Acne in Pregnant Women? What Does It Mean to Have Acid in Your Blood? What Are the Benefits of Rose Hips Oil? Neuropathy is a disorder in which nerves are damaged, causing them to malfunction and fail to transmit nerve impulses in a normal way. Neuropathy may involve a single nerve or it may affect groups of nerves with similar functions. It may also interfere with the ability of the brain to send messages to nerves in other parts of your body. R-lipoic acid is a natural compound that may improve symptoms of neuropathy and help your nervous system recover more effectively. Talk to your doctor to decide if R-lipoic acid might be helpful in your situation. Neuropathy may develop after an injury to a nerve, such as after an accident or sports-related trauma. Certain diseases may also cause neuropathies because they interfere with the availability of nutrients to your nerves. Examples include diabetes, kidney disease, hormonal imbalances, inflammation from autoimmune disease, cancer, exposure to toxins or deficiency in vitamin E or the B-complex vitamins. Symptoms may vary but often include muscle weakness or cramping, uncontrolled muscle twitching or changes in skin, hair or nails. If sensory nerves are involved, you might experience tingling or loss of sensation, inability to feel pain or temperature changes or, occasionally, a heightened sense of pain. Lipoic acid, sometimes called alpha-lipoic acid, is a natural antioxidant that your body can manufacture. Chemically, it exists in two forms, called the R and the S forms, but your body makes and uses only the R form. The compound removes free radicals from your tissues and organs, protecting your cells from potential damage to membranes, DNA and other cellular components. It also helps your cells use glucose as an energy source. Unlike other antioxidants, lipoic acid is soluble in both water and fat, giving it access to all parts of your body. According to experts at the University of Maryland Medical Center, lipoic acid may also extend the effectiveness of other antioxidants such as vitamins C and E.
A number of laboratory studies have suggested that lipoic acid might reduce neuropathy caused by various disorders, including diabetes. 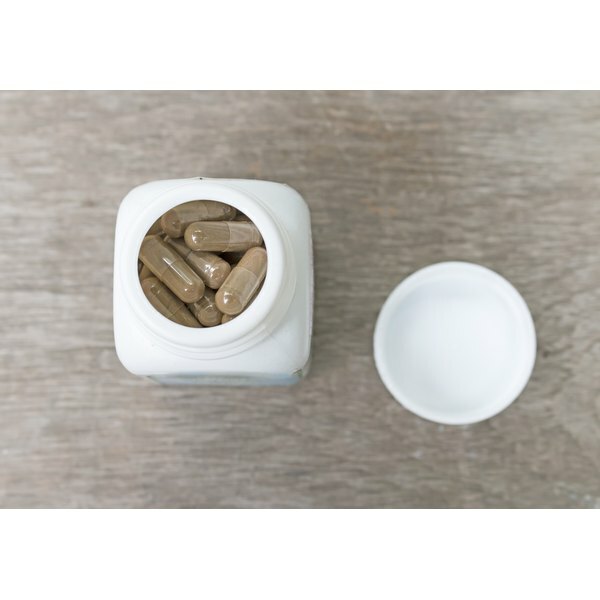 These studies found that the compound improves blood flow to nerves and reduces oxidative nerve damage, generally leading to improved nerve function. A number of clinical trials have shown that lipoic acid helps reduce neuropathy caused by diabetes. In one study published in "Diabetes Care" in 2006, 181 diabetic subjects who consumed 600 mg of lipoic acid daily for five weeks experienced significant improvement in symptoms of neuropathy. R-lipoic acid is available from most health food stores in capsules. The recommended dose for neuropathy is 800 mg daily in divided doses. The supplement is generally considered safe, although it may cause skin rash in some people and it may interact with diabetes drugs. Do not take lipoic acid if you are pregnant or breast-feeding, or if you have a vitamin B-1 deficiency. Discuss the supplement with your doctor before adding it to your regimen.